Fortunately the major search engines’ algorithms are penalising terrible website copywriting these days, so those clients who have taken the time to write interesting, accurate and informative copy will benefit. Luckily, gone are the days when you regularly come across webpages with keywords repeated so many times that the context made no sense to the reader. 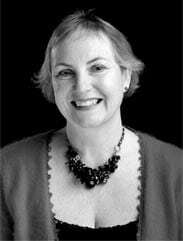 Nicky Stephen Marketing has significant experience in writing website copy designed to inform the reader and include keywords and descriptions that are relevant and will help browsers bring the right people to the right product or service. 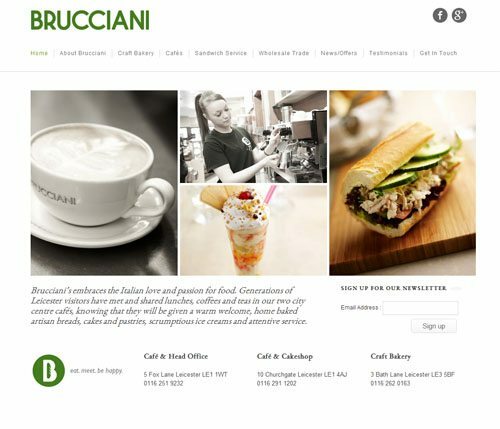 Brucciani is a well established business based in Leicester, with two cafes serving delicious coffee, cakes and pastries made in its own artisan bakery. This is just one of the websites for which we were asked to write copy.